Your credit score is one of the most valuable things you own but it can quickly turn itself around and work against you. A low credit score will directly affect your ability to borrow money and may get you rejected for that mortgage loan you applied for. With a low score you may get your loan but at a higher interest rate because the lender sees you as a high risk. 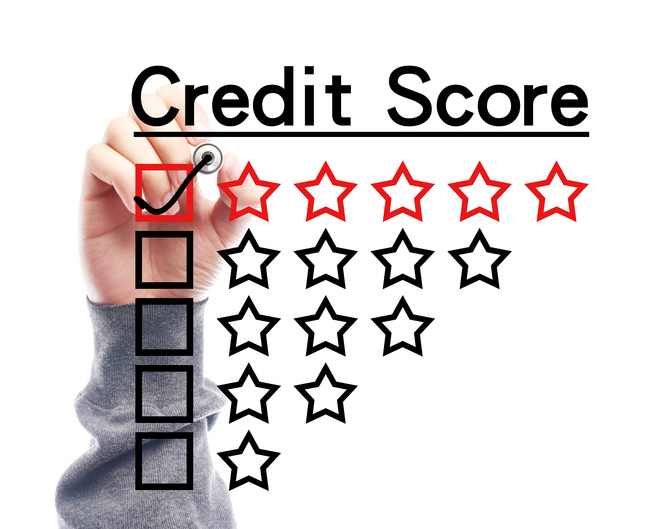 A credit report will show you what your score is, good or bad. It’s very important to know what it is as this could prevent you from buying your dream home! Many people either don’t understand the ins and outs of their credit score or they have inaccurate information about what it is. If you are about to start your search for real estate, you should prepare ahead of time and work to increase your credit score. The following information should pave the way for you to do that. 1. Credit reports aren’t always accurate. Many have errors or mistakes — 80 percent, actually. Regularly check your credit report. Everyday we hear about thousands of credit cards being compromised through the hacking of large retailers’ security and payment systems. If your personal information gets compromised, a thief will open up financial accounts in your name. However, they will not pay the bills, and this will ruin your credit. Those unpaid bills will be reported to the credit agencies and will affect your ability to buy a car, rent a home, purchase real estate or even find a job. It pays to keep a close eye on your credit scores and your credit card accounts then report any suspicious charges immediately. 2. Pulling your credit score may lower it. A “soft” pull is done yourself for personal reasons; it will have zero effect. A “hard inquiry” is when a lender pulls it up for loan approval. It will have a negative impact, but small. Multiple hard inquiries within a 14 day period many not impact your score but spread over a longer period it definitely will. 3. A higher income does not equal a higher credit score. Income is not relevant to credit score; paying bills on time (or not) is what matters as is the amount of debt you’re carrying. 4. Credit scores and credit reports are not the same. Credit reports are just one piece of the equation. Many factors go into calculating your credit score. What matters is making sure the three large credit bureaus have similar information and scores. The three big credit reporting agencies are Equifax, Experian and Transunion. You can get one free credit report a year from each. Take advantage of this to protect yourself and stay current with your score. 5. Debt settlement will not remove debt from your credit report. Debt settlement doesn’t fix bad credit. Late payments, bad information and other smears remain for up to seven years following the first “infraction” date. 6. Cash-only payments will not help you build credit. You can’t build good credit unless you use credit, and use it wisely. Get a couple small loans or credit cards and pay them off as you use them. 7. Closing your credit card accounts will not improve your credit score. Closing a card lowers your amount of disposable income: the ability to pay off other debt. You don’t want to lower “credit utilization” by closing out a card. 8. Smart management of your various banking accounts is not reflected in your credit score. These are not reported to credit bureaus and thus have no impact. But smart management means you are probably paying your bills on time. 9. Dispute inaccurate information to remove it from your credit report. You can dispute only errors. A valid dispute will result in deletion of inaccurate information. Disputing negative, but accurate, information will be a waste of your time. 10. Missed payments will affect your credit score. Any missed or late payment can be reported to a credit bureau and probably will be, thus affecting your credit score negatively. There is no undoing this once it’s done. Do everything you can to get your credit score as high as it can be then when you’re ready to look at real estate, give us a call at Sloane Realty. We can be reached by calling 866-931-5201.